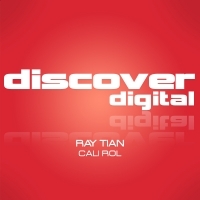 After two massive singles on Discover White Label, Ray Tian arrives on Discover Digital with 'Cali Rol'. A big tune built around strong riffs and a hypnotic twist that showcases Ray's production skills and musical ear to the absolute maximum. 'Cali Rol' is available now from Beatport and iTunes.